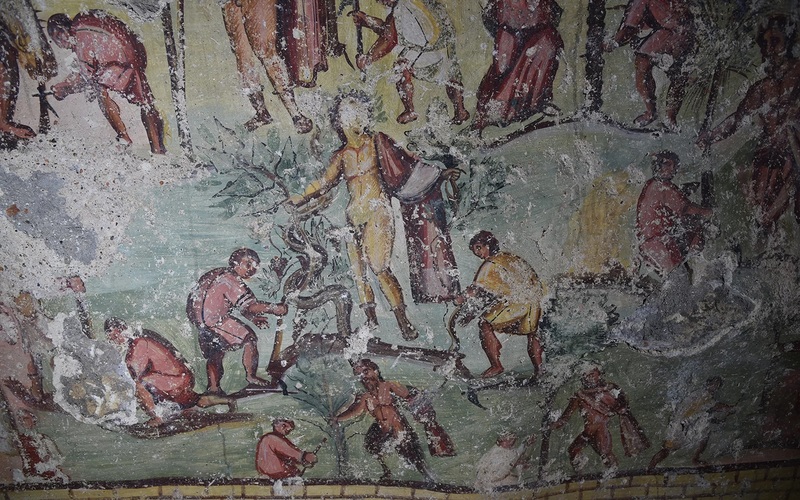 Ancient Comic Strip Style Speech Bubbles Discovered in Ancient Mosaics – Zero Equals Two! LiveScience recently posted a news story about archaeologists analyzing found in an ancient Roman city of Capitolias, ocated in modern day, announcing that mosaics depicting everyday life in the town includes written inscriptions representing the utterances of the figures the inscriptions appear next two. 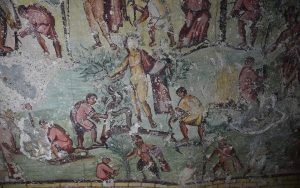 “In an ancient Roman tomb that was recently discovered in Jordan, a colorful mural offers a comics-like glimpse of what life may have been like in the bustling city of Capitolias thousands of years ago. “Hundreds of illustrated figures — humans, animals and gods — appear in the paintings. Their poses demonstrate routine activities, such as harvesting crops and building a defensive wall, in a city that was a thriving center of commerce and culture during the second century A.D.